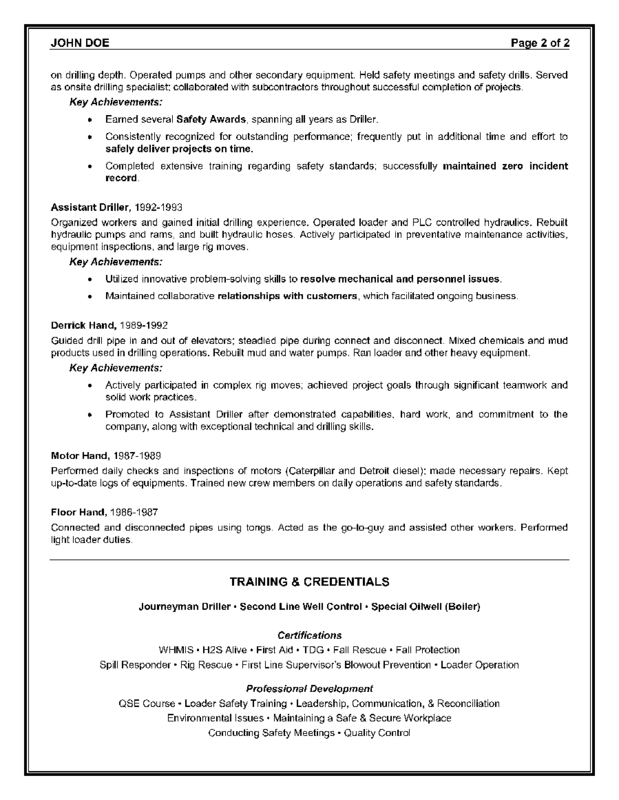 This example of an oilfield consultant resume sample communicates John’s strong team building skills and knowledge of safety awareness. These are a couple of key skills to emphasize in a resume for any oil and gas position. By focusing on John’s outstanding accomplishments and skills in these areas—all of which are relevant to his job objective—he gained the competitive edge in the job search market. Click to read it as a PDF file. 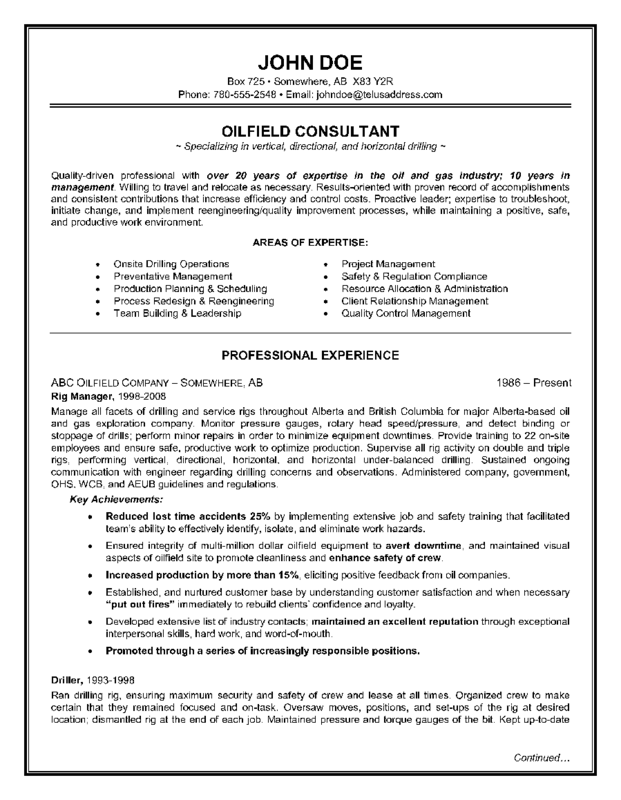 I hope you found this oilfield consultant resume sample beneficial. Over the last 16 years, I have written many resumes and cover letters in the oil and gas sector. Some of the job titles I have written resumes for include pipefitter, plant and field operator, well testing, wireline operator, drilling supervisor, field specialist, fracturing operator, production testing, transport operator, engineering technologist. Well, the list could go on and on!